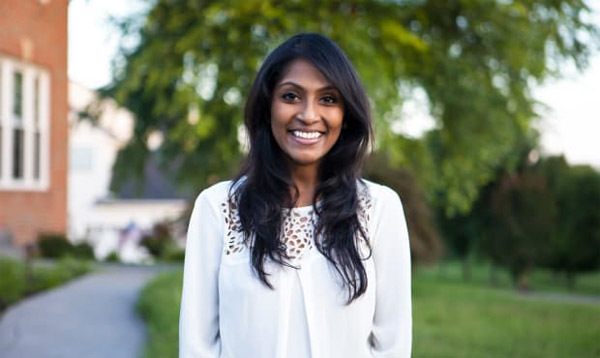 Sri Lankan American Kristhanti Vignarajah is trailing behind other Democratic contenders for Maryland 2018 gubernatorial race according to a poll released October 11. Mason-Dixon Polling & Strategy said of the seven Democrats vying to challeng​e the popular Republican governor Larry Hogan next year, Rushern L. Baker III appears to be the strongest contender, trailing Hogan by just 7 points in the first poll conducted in the crowded primary race. Voters were asked whom they would chooses if the election were held today. Next to Baker, Kevin Kamenetz trailed Hogan by 13 points, Ben Jelous by 16 points, and state Senator Richard S. Madaleno, Jr. by 19 points. According to the poll, nearly 50% of of Democrats said they like the job Governor Hogan is doing but only 25 percent said they would vote for him. A very popular governor Hogan is trying to become the first Republican governor to win reelection in Maryland in more than 60 years. Hogan's party affiliations might go against him in the heavily Democratic state analysts say. Vignarajah, whose eligibility as a congressional candidate in the state is under question based on residency requirements, has filed a motion asking a court to issue a ruling that she has the right to appear on the June 26 primary ballot. Maryland requires a candidate for governor to be a registered voter in the state for five years. Vignarajah acknowledges that while she worked in the White House, she voted in the District of Columbia. Vignarajah maintains she has been a Maryland resident since infancy and registered to vote in the state in 2006. She said the fact she voted in Washington while living there temporarily did not invalidate her Maryland voter registration. She said she has not voted in both jurisdictions in the same election. The blog Bethesda Beat reported that Vignarajah voted multiple times in the District from 2010 to 2014 while serving in the Obama administration, but kept her Maryland registration active. In her motion, Vignarajah asserts that the state Court of Appeals has ruled that Maryland voters give up that status only if they set up a permanent residence outside the state. In an affidavit, Vignarajah swears she had no such intent when she served as a presidential appointee under Michelle Obama and then-Secretary of State Hillary Clinton. Vignarajah, 38, lives in Gaithersburg with her husband and daughter. August 13, 2017 - Sri Lankan American Krishanti Vignarajah is the first woman to join the race for the 2018 Democratic nomination for Maryland’s gubernatorial race. But her candidacy is being challenged on the grounds that she does not meet the state’s residency requirements. Immediately after the 37-year old former policy staffer to Michelle Obama and Hillary Clinton announced August 9 that she was running for Maryland governor questions were raised about her eligibility. 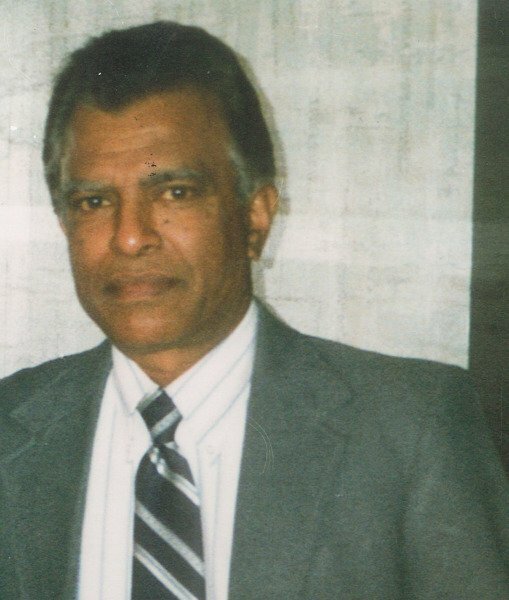 Vignarajah has voted four times in Washington, D.C., while also a registered voter in Maryland. According to a Washington Post report, she registered in Maryland in 2006 and in DC in 2010. Vignarahah voted in DC in 2014 and voted in Maryland in 2016. Under Maryland state election laws, a candidate for governor must have lived in the state and been a registered voter there for at least five years leading up to the election. In the latest development, the Maryland State Board of Elections has requested Attorney General Brian E. Frosh (D) to weigh in on whether Vignarajah is a Maryland registered voter, which is a requirement for running for governor. Vignarajah says on her website that she decided to enter the race because she wants to make sure her daughter will have the same opportunities as she did and promises to improve schools and increase wages. “I am running for Governor because I am worried my daughter will not have the same opportunities my parents gave me when they brought our family here when I was a baby girl,” Vignarajah said on her official website. “The deficit in leadership from our current Governor could not come at a worse time. “As Governor, I will focus on what matters most – improving schools, increasing wages, reducing crime, treating drug addiction, alleviating traffic, investing in infrastructure, and protecting our treasured environment. To accomplish all this, politics as usual is not enough. We need a new generation of leadership that will make progress at home, while standing up to a White House that threatens the very values that unite and define us,” she said. Vignarajah’s main contenders in the primary will be Prince George’s Country Executive Rushern L. Baker III, former NAACP president Ben Jealous, state Sen. Richard S. Madaleno Jr. (D-Montgomery), technology entrepreneur Alec Ross and lawyer James L. Shea. Vignarajah has degrees from Yale University and Oxford. Her parents who worked as teachers at the Baltimore City public school immigrated to the United States from Sri Lanka during the war.